Automotive dealerships, especially the newer dealerships with multi-brands, require rapid access to thousands of small to mid-size parts, both for the service bays and for customers. The most efficient storage system for small parts is drawer cabinets. 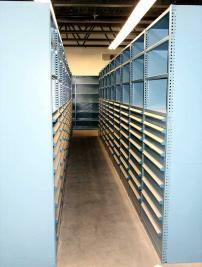 Drawers provide easy access and full visibility to a large number of parts. 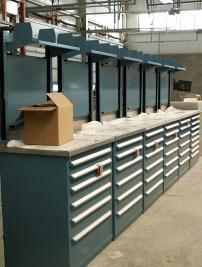 Picking and inventory are both more efficient and accurate with drawer systems. 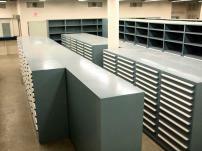 In areas with mid-size parts, drawers can be integrated into shelving units, providing a mixed size storage system. Drawers can also be installed under counters for quick access to parts that are needed frequently.